Our 2014-15 Season has concluded. Please stay tuned for information about our 2015-16 Season. THE DOCTORS ORCHESTRAL SOCIETY OF NEW YORK is celebrating its 77th Anniversary Season. 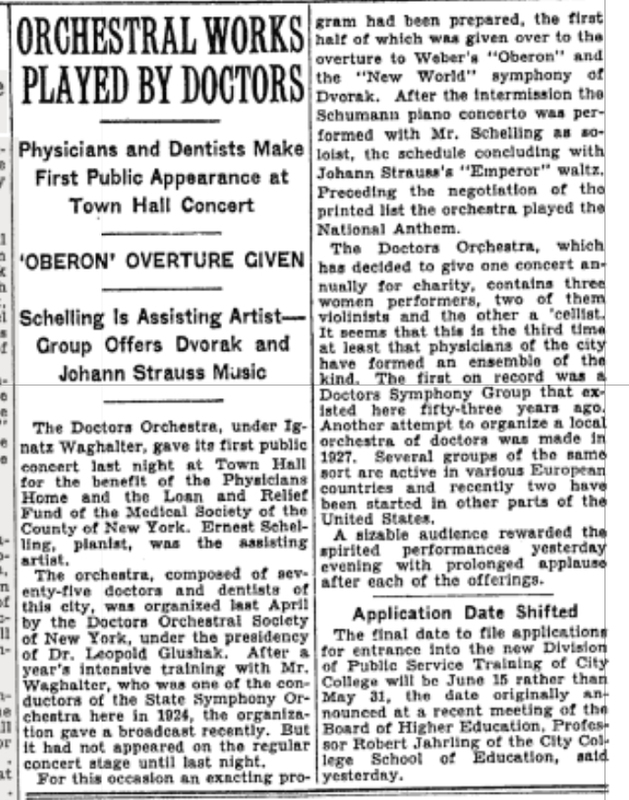 It was founded in 1938 by physicians interested in performing symphonic music. In recent years it has added community musicians representing the diverse professions in the metropolitan area. The Doctors Orchestra performs four to six concerts annually, often donating its services for benefits. Depending on the music, the orchestra performs concerts with between 50 and 60 members. The orchestra has performed in New York’s major concert halls including Carnegie Hall, Town Hall and Avery Fisher Hall.